New York City is great at a lot of things. Walking! Skyscrapers! Pizza! And according to a new study on the world’s megacities, NYC can add one more thing to its list of things it excels at: Trash! 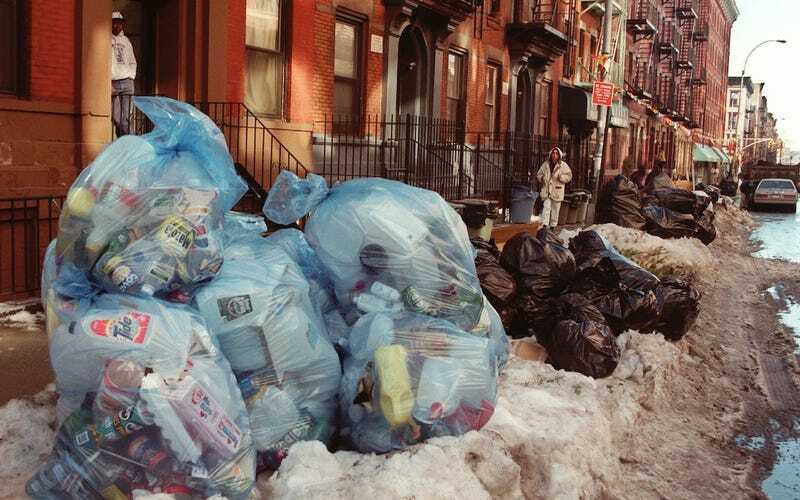 New York City creates 33 million tons of waste a year. The next closest offender is Mexico City (the label is missing from the graph above), which generates a comparatively quaint 12 million tons of trash, followed by Tokyo, which, again, has a full dozen million more potentially garbage-generating citizens. The average New Yorker uses two dozen times more energy than someone in Kolkata, and creates 15 times as much solid waste. I’ll say it again: New York is one dirty megacity. “The New York metropolis has 12 million fewer people than Tokyo, yet it uses more energy in total: the equivalent of one oil supertanker every 1.5 days,” study author Chris Kennedy. Studies on megacities are very important as there are now 26 of them on the planet, and about half of the world’s population lives in one. But as this study shows, if those megacities were 26 New Yorks, we’d all be dead.